Situated in the centre of the Somerset Levels Mark has two pubs a church shop and post office and there is also a children s play area. There is easy access to a vast choice of walks cycle routes riding stables fishing and birdwatching sites to choose from. 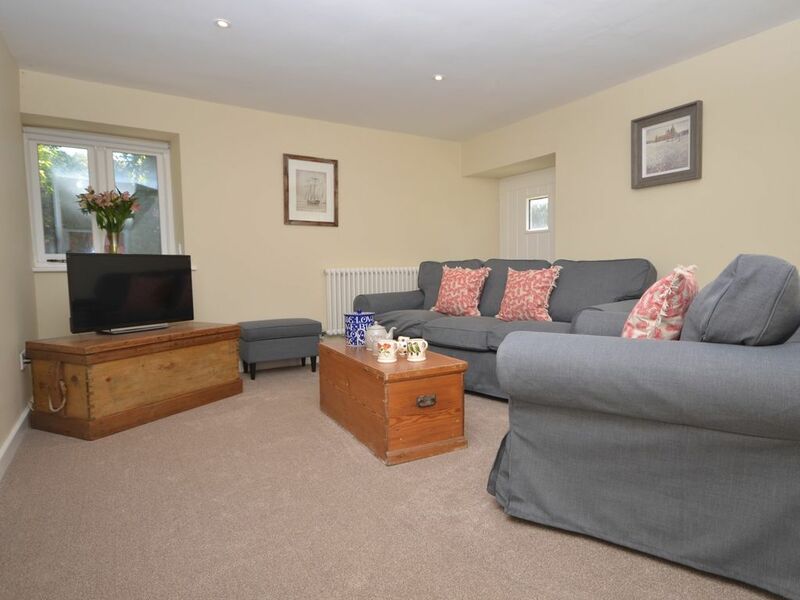 You will be within a short drive of Wedmore with its independent shops Wells with its famous cathedral and shopping area and Cheddar with its famous Gorge. Weston-Super-Mare and Burnham-on-Sea are also within a short drive with their golden sandy beaches seaside shops entertainments and restaurants. The first two weeks in November is carnival season with the renowned Bridgwater Burnham-on-Sea with dog friendly beach from Allandale Road towards Berrow and Weston-Super-Mare Carnivals they really are a must. On entering the property you are met by a useful boot room a perfect place to hang coats or store muddy boots after a long walk. Walk into the kitchen/diner equipped with electric oven and hob microwave fridge/freezer and dishwasher and French doors opening into the sun-trap courtyard. The washing machine is conveniently located in the boot room where you will also find a separate WC. From here head into the lounge where you can relax and enjoy watching your favourite programme or movie on the TV/DVD. Going upstairs to the first floor are two comfortable bedrooms the master has a beautiful four-poster double bed and an en-suite bathroom with shower over bath and WC. The second bedroom is a twin and benefits from a neighbouring shower room with shower and WC. Venturing outside you will find yourself in the private enclosed courtyard a perfect place to enjoy some al fresco dining with garden furniture and a BBQ. You are also welcome to exercise your four-legged friend in the owner s paddock. There is off-road parking for two cars.